When I wrote about boring U.S. state flags on Monday, most Southern states were notably absent. 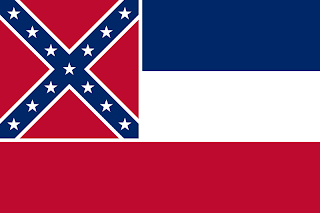 A civil war based in part on state sovereignty will do that: for the most part, Southern states have more interesting flags than their Northern counterparts. But that's not always a good thing. The flags of the Confederate States of America have loomed over Southern state flags like a ghost for a century and a half. It's tough for Southern states. They want to develop a cohesive flag identity that links them together without relying on their most famous flags, which evoke a history of slavery and oppression. Some states have fared better than others. 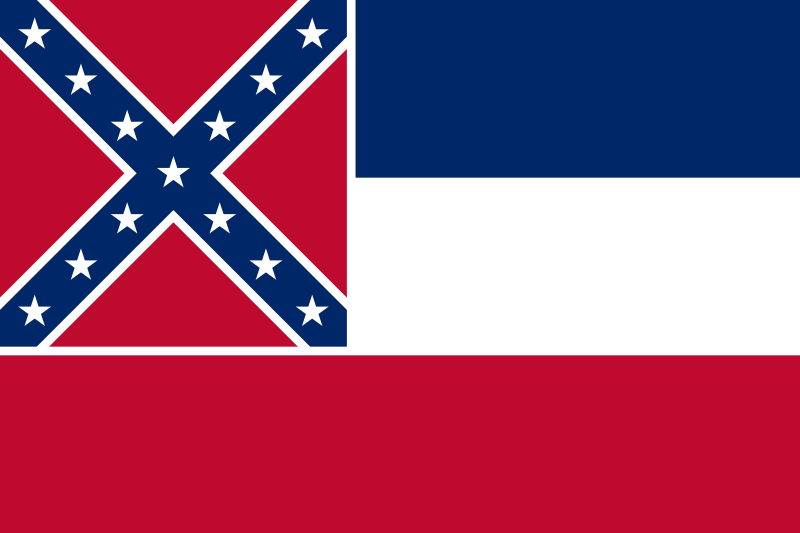 Mississippi is the only state still to feature the Confederate battle flag in its state flag. A vote was held in 2001 to replace it with the flag you see on the right. 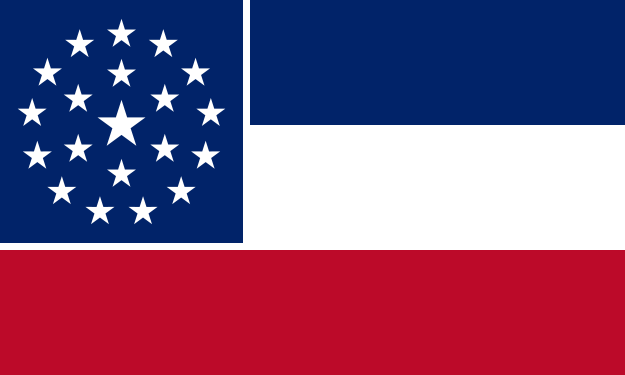 The proposal replaced the Confederate flag in the canton with a blue field featuring three rings of stars: the outer ring representing the thirteen original colonies, the middle ring to represent the six nations to have held sovereignty over the state, and the larger star in the middle to represent Mississippi itself. It adds up to twenty stars, representing Mississippi's status as the 20th state. Unfortunately, the incumbent flag with Confederate imagery won the vote. Alabama's flag is not as bad as you think. At first glance it seems like an obvious homage to the blue saltire of the Confederate battle flag. But it's simply a St. Andrew's cross, a common flag design probably most famous on the flag of Scotland. 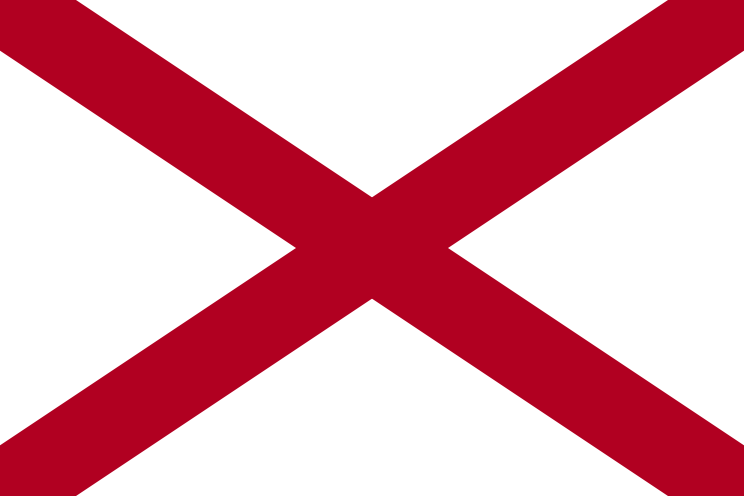 The Alabama flag is in fact an homage to the Cross of Burgundy used during southern Alabama's time under Spanish control as part of Spanish Florida; coincidentally, the current flag of Florida is nearly identical. Alabama gets a pass in my book, but I'm sure many people (including many Alabamians) still think the flag is a Confederate reference. Georgia has gone through its fair share of flags. 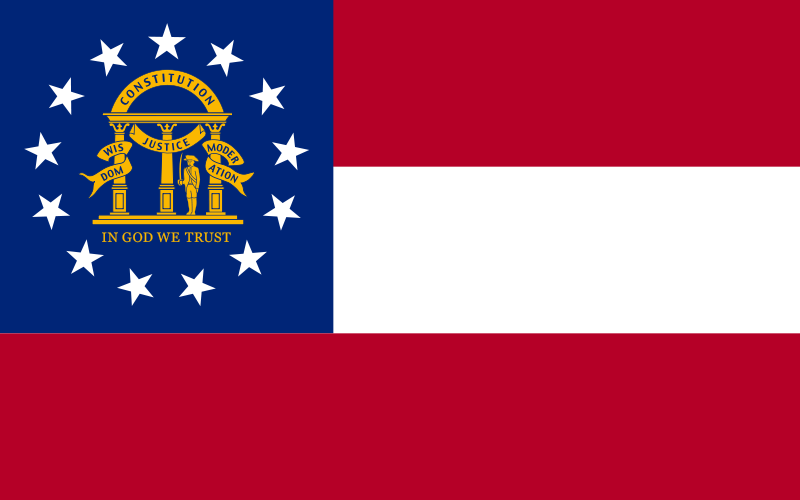 The Confederate battle flag didn't even appear on the Georgia flag until 1956; before that, it looked like this. The one pictured on the right was a move by the state government to protest the landmark Brown v. Board of Education civil rights victory in 1954. 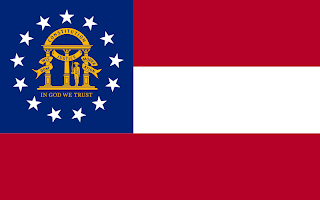 Pressure mounted to change Georgia's racist flag leading up to the 1996 Summer Olympics in Atlanta, but it took them until 2001 (the same year Mississippi tried to change its flag!) for anything to happen. 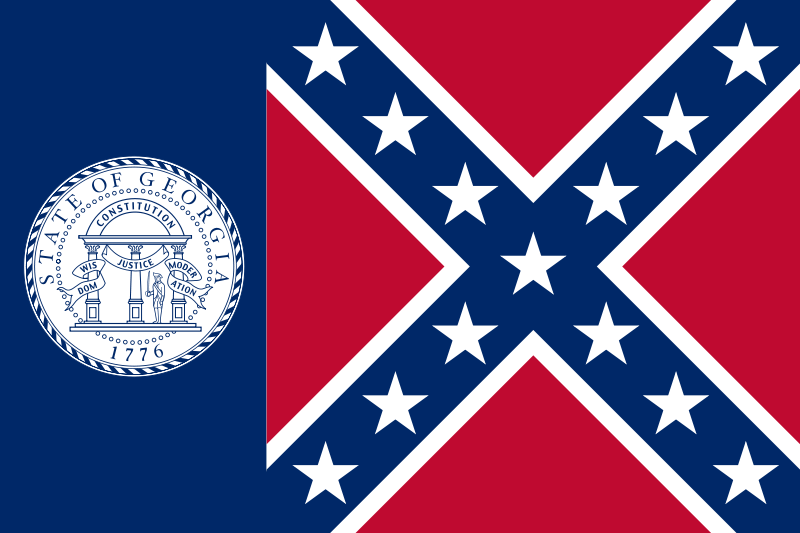 The state adopted an ugly-but-slightly-less-offensive placeholder flag for two years, and in 2003 the current flag was adopted. But I don't know if I can let the current one off the hook. Yes, it gets rid of the Confederate battle flag, but the 2003 design is based on the first national flag of the Confederacy, the "Stars and Bars". So it still stands for slavery and oppression, but it's slightly less offensive than the battle flag. I can't win 'em all. This one will probably be around for the foreseeable future. 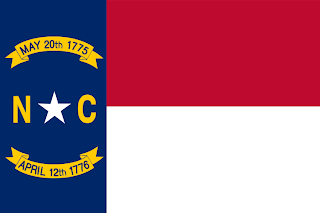 On the surface, the North Carolina flag has no connection to the Confederacy. But the current flag was adopted in 1885 as an homage to the Bonnie Blue Flag, one of the first flags used by the South during the Civil War. 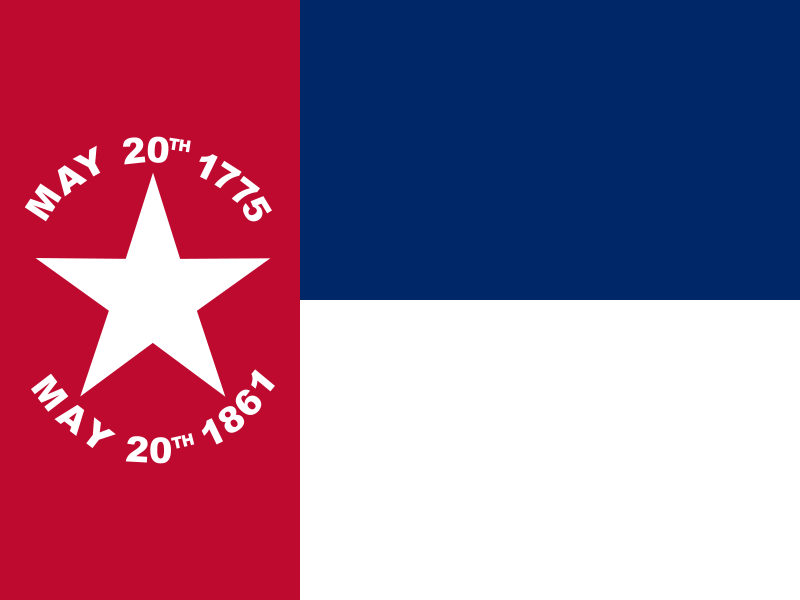 Before that the state had used a slightly more original color scheme (pictured on the right), with a red field for the star instead of a blue one. Ironically, the less-Confederate 1861 flag was adopted specifically for North Carolina's secession from the Union. The 1885 flag was introduced by former Confederate soldiers who were feeling nostalgic for the Good Ol' Days. The North Carolina flag is similar to the Texas flag, but Texas' "Lone Star" symbolizes the state's independence from Mexico in 1839. It predates the Bonnie Blue flag by over two decades.